Besides doing 2D art service ($14 / hour rate, you can contact me at oryzano@gmail.com for this). I am also doing a step by step 2D art tutorial, hopefully that can help out others / developers / new designers, for them to learn and have an idea on how to make art in vector. 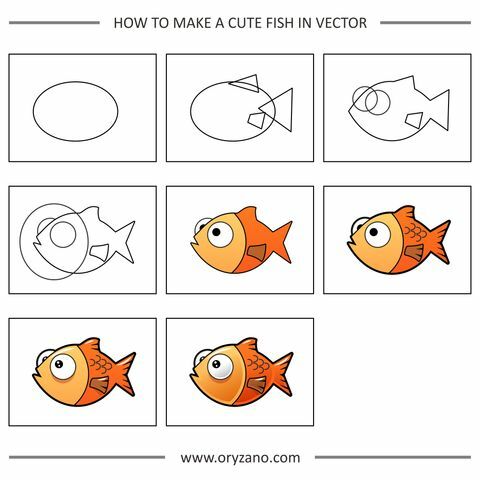 This is a step by step how I make a cute fish in vector. Hope it's helpfull. Feel free to share. 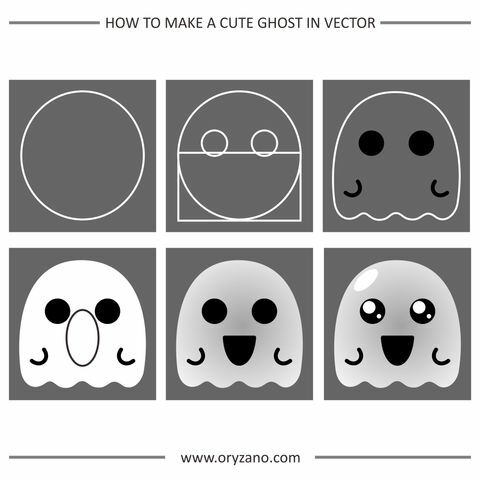 This is a step by step how I make a cute ghost in vector. Hope it's helpfull. Feel free to share. Cool stuff, but I might add that unless a person is familiar with how to merge and cut vector shapes, they might be confused on how you got from each step to the next. For example, while I know that I can combine a circle and a rectangle to get a general shape for a ghost, someone else might be confused about how you went from a circle and a rectangle to a wavy ghostly shape. Of course, you know your audience more than I so if you choose to assume some familiarity with the toolset of choice - or teach those topics separately - and these are more along the lines of "Here's some examples of how you can use those new skills!" then this is definitely pretty helpful for people. Thanks for sharing!